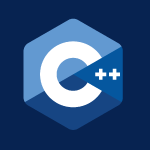 In this tutorial we explore advanced uses of functions using C++. We’ll cover how to store functions as variables, pass functions into other functions, store functions in a vector and more. Then we’ll solve 2 problems. We’ll receive lists of numbers and then return a list of only the odd values. We’ll then generate random lists of heads and tails and add up how often each occurs. All of the code and a transcript of the video follows below. If you like tutorials like this, consider donating $1, or simply turn off Ad Blocking software. Either helps me to continue making these tutorials for free.